Source: I received a complimentary copy. All opinions are my own and are not compensated in any way. Bad Luck Becky is about the have the summer of all summers--working as a dancing hot dog at a local amusement park. 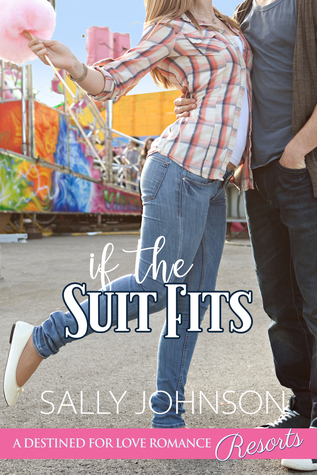 But her luck starts to change when she meets Hudson, a fellow employee. I don't think I could do the type of work that Becky does, no matter how hard-pressed I was for work, which just goes to show how admirable she is--she'll do what it takes to make a buck. She also comes across as a character who is comfortable in her own skin, even through her awkwardness. But she does have a stubbornly loyal streak and that causes some issues. Hudson is a very likable guy and I love that he tries hard to carve his own pathway in life, instead of riding on coattails. Chrissy, Becky's "boss" at the hot dog truck, is a very sweet and fun girl and I love the encouragement she offers to Becky. Overall, this is a fun story in a unique setting. There are so many quirky situations that really makes this one stand out--signing wavers, caramel apples, tanks, mopeds, angsty teenage brothers with a hot rod car, and lots of hot dogs, to name a few. I only wish the romance was a tiny bit deeper and more reader-connected, but I still enjoyed my time at the Gainesville Amusement Park! Source: I received a complimentary copy. All opinions are my own and were not compensated in any way. I've only read three of these stories so far, but wow! I was completely blown away by the variety, the plots, the romance, and the characters, and I'm excited to finish the collection. They claim to be novellas, but they are on the longer side and didn't feel like they were. 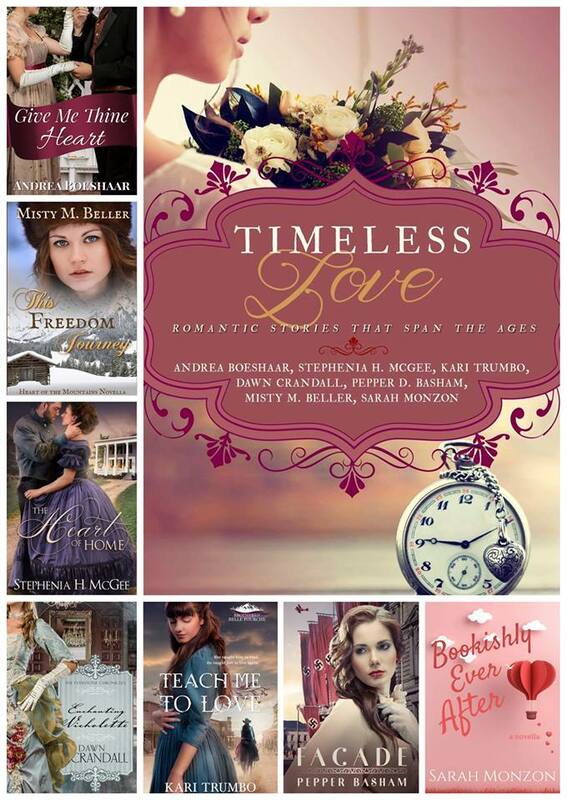 These really are timeless stories that will warm the coldest heart and give a reader a few hours of enjoyable escape. In ENCHANTING NICHOLETTE, I was transported back to the beloved Everstone family. An undeniable and instant chemistry exploded and my heart sang at the potential for Nicholette to finally have her happily ever after. There is humor mixed with tender love in this bittersweet, heartfelt, and inspiring offering. I love the way Crandall writes and brings her characters to life and I really enjoyed coming to know Nicholette on a deeper level. It's a known fact--I could NEVER be a spy, but I love reading about them. Olivia proves to be a natural in FACADE. The fascinating escapades and sizzling romance really captured my attention and I often wondered how in the world she would get out of the various situations she found herself in. This one is intense on so many different levels and I loved every minute of it. BOOKISHLY EVER AFTER has a special spot in my heart because I tend to hold contemporary romances at a higher standard, wanting both an escape and something realistic at the same time, and this one totally delivered both. 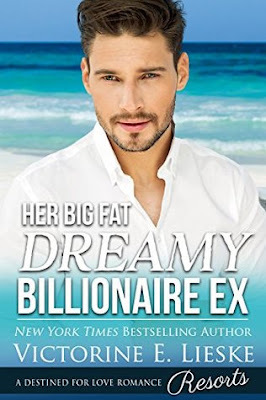 Emory is a bookworm (like me) and would rather curl up with a book on the weekend than go out (again, like me), but her BFF, Tate, has a plan to get her out more and in a deliciously romantic way, it backfires. Such a satisfying conclusion to this collection. Source: I received a complimentary copy. All opinions expressed are my own. When FBI Agent Alex Travis receives an anonymous phone call on a September morning in 1954 with a tip concerning the now cold case of the Cache County Bank robbery, it has his undivided attention. The tip leads Travis to the top of the secluded Green canyon in Logan, Utah, where a young man named Jack Pepper proceeds to tell a story spanning the two years from the time of the robbery, when he and his girlfriend, Kate Austin, stumbled upon the crime of the century for the Cache valley. Travis must decide if he is dealing with the suspects or the victims of one of the largest bank robberies in U.S. history. 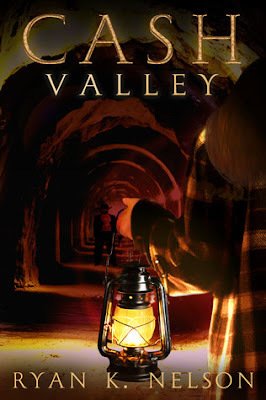 Cash Valley is an intense and gripping story about a bank robbery in my old stomping grounds. 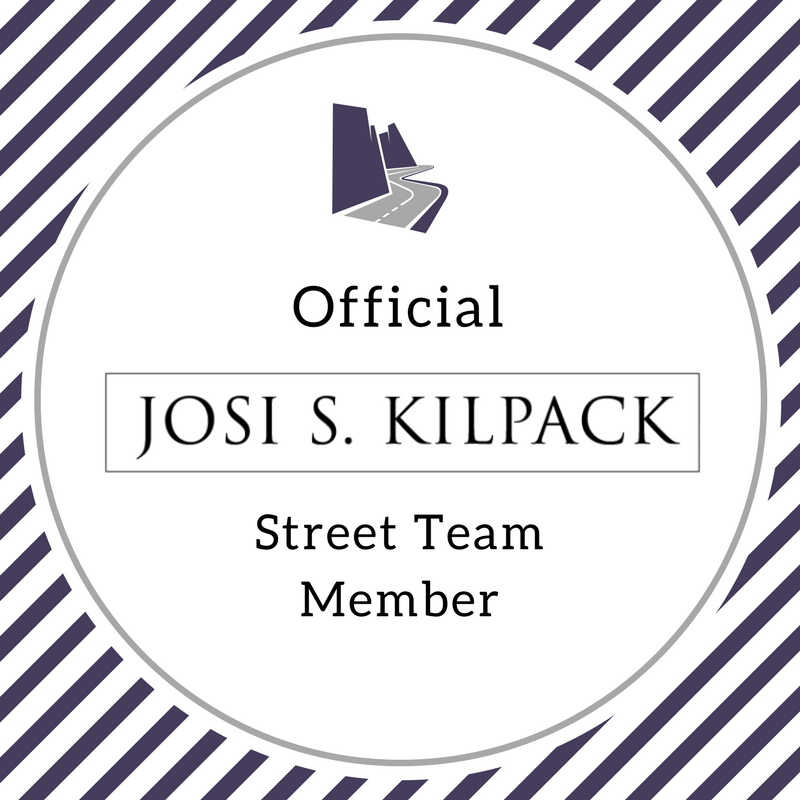 I grew up in Cache Valley and enjoy reading books from that area. Although I did grow up across the valley and years later from this setting, I still found it to have a familiar feel. As the book began, I wasn't sure if the tip this FBI agent received was from a victim or a thief and I enjoyed watching the mystery unfold, along with Agent Travis. Most of it takes place in an almost journal, or flashback, mode, but it was entertaining. The quick pace of the plot didn't allow for much character depth, but this book really is plot driven and that didn't bother me too much and I found myself on the edge of my seat, dying to know how it would all end. This Destined For Love Romance: Resorts series is making me add places to my bucket list like crazy and now Belize is at the top. Not only is there a second chance romance looming at this resort, but the lush, tropical location is to die for. 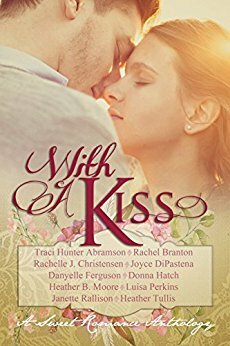 The characters are fascinating and lovable: Grams is a meddler, to be sure, but she's pure in her matchmaking intentions and in hilarious ways; then there's Felicity, who has trust issues; and finally, Aiden, a good and wholesome workaholic. The whole reason for the breakup was tragic, but meant to be, since both characters obviously had some growing to do. I fell in love with the whole plot and story line, even with the drama that unfolded. 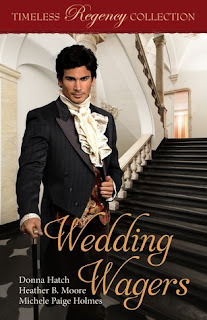 The romance was very realistic--hesitant, yet undeniable; tentative, yet swoony. And so much fun. If you love a sweet romance in a tropical location with very real characters, be sure to check this one out. This cover is perfection and the characters within are perfectly imperfect. 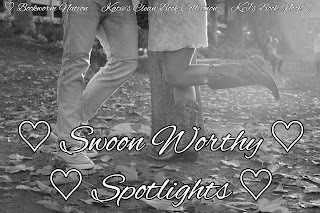 Kade and Bree are each everything that they hate, yet with both of their driven and persistent personalities, they come to know each other on a deeper level, thus treating the reader to a great, personal friendship. I love that they are both flawed, yet very likable, especially as the story progresses and the reader learns more about them. I love watching the Olympics and beach volleyball is such a fascinating sport because it's so intense and fast-paced. The athletes are incredibly quick and strong. I loved reading more about the sport in this book through Kade's story. I also loved learning more about journalism and Bree is very admirable in her passionate quest to uncover the truth, whether it's flattering or not. The relationship aspect is great, as they are both determined not to go there and jeopardize their careers, yet they can't ignore the blatant chemistry that enshrouds them. I loved the alternating banter and friction--heck, I loved everything about this book! and pre-order it on Amazon. "RESCUE is exciting and fresh and inspiring. When Dulce is one of the only survivors of a plane crash deep in the Amazon jungle, she faces all kinds of dangers as she fights to survive. A fascinating insight into one of the most mysterious places in the world and a strong heroine that will make you cheer for her determination." "I found myself unable to put the book down. The story is well-crafted, with twists and surprises that kept me a little on edge, frankly--wondering what would suddenly leap out (or slither up to!) Dulce next. Aylworth cleverly weaves her considerable understanding of survival skills and of the native peoples of the Amazon throughout the story. I found myself mentally cheering Dulce on, impressed with her ingenuity at dealing with the harsh realities of her environment." "I really liked this book. It was very interesting how this young woman was able to survive this terrible tragedy." "For a time I just sit, my head pressed backward against the seat, my eyes closed, thinking of how desperately I don’t want to be here, how I can’t face this, how frantically I want this all to go away. But the minutes pass and I’m still hanging in the tree, recognizing that if no one has come to my rescue yet, it’s possible no one is coming. I may just have to rescue myself." "'I am not going to die here,' I say aloud. Then I shout it to the whole forest: 'I am not going to die here!' I grasp that little lump in the tree bark with my left hand, reach up with my right, and grab my toe, yanking it free. There’s a moment of elation until I realize my left foot is slipping. I scrabble with both hands, trying to find anything to hang onto, but there’s nothing. The next thing I know I am sliding, the mapajo’s slick bark slipping by beneath me. Then there is nothing but air." "I’m almost out of the clearing when I’m stopped cold. What I see looks like a thick, bright green vine curled around the limb of a tree. What I recognize is the ambush-hunting strategy of a pit viper, a seriously venomous threat. I know what it is because Chambi pointed one out on one of our jungle walks. Silently thanking him, I change direction. We’ll avoid that risk by leaving this clearing in an entirely different direction. Even as I think it, I realize it may be foolish; we could run into poisonous snakes anywhere. I’ll just have to be careful to keep a close watch on the foliage." "I’m home! I don’t know how I got here, but I am standing on the porch of our home in Santa Cruz and there’s my mother! She’s running to me and I’m running to her. She is saying, “Marissa! Oh Marissa!” over and over and I just keep saying, “Mom, Mom, I missed you so much!” We hold each other and cry and then …I wake up aching, wishing my mother were here. I’ve never missed her or needed her more than I do now. I have never imagined I would miss her or want her this much. The missing is so painful, it almost chokes me." Susan Aylworth started her first book when she was nine. "It was called Buff, The Proud Stallion. I wrote eight whole pages." For her fifth grade career day, she stated her ambition to become "a rich and famous author." Decades later, she is pleased to have achieved the 'author' part of that goal. A former university professor, she enjoys researching backgrounds and careers for her novels. "It's one way to live many lives at once." Susan lives with Roger, her husband of 48 years, who is also a writer. Although they maintain a home in northern California, they currently serve as addiction recovery missionaries in the Navajo Nation. Susan loves hanging out with her seven children, their perfect-for-them spouses and 26 grandchildren. When she can't be with her blood family, she hangs with her fictional characters, the children of her mind. Rescue is her fifteenth published novel. I love the idea of some of my favorite authors coming together to write this book for charity. And I love that a lot of the stories reflect perfectly each author's writing styles and some of them even connect to series that the authors have already written, which is an added bonus. I didn't have a chance to finish all of the stories yet, but I did read more than half and have loved the uniqueness of every single one of them. Although they are short (less than 100 pages each), they each felt complete and satisfying. 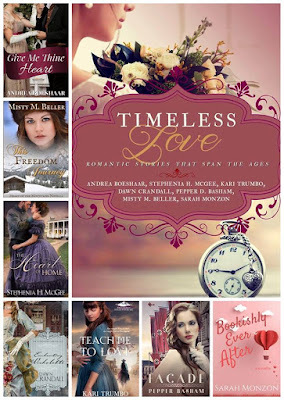 I really enjoyed the variety of characters and time periods and can't wait to finish the rest! DANCING TO FREEDOM really portrays the importance of freedom well. Katrina, a Russian ballet dancer, lives in a glass cage and Robert is determined to break her out of it. I loved the obvious adoration and growing love that ensues through this tenderly heart-wrenching story. My emotions were really drawn out and the characters came to life. Assumptions cause some conflict in THE REFUGEE'S BILLIONAIRE. I enjoy reading stories with big-hearted, selfless characters and this one delivers. The threads of redemption and hard work really added to the plot. There was an immediate and sweet connection between Shawn and Carolina that warmed my heart and Daniel, Carolina's young son, was the icing on the cake. ORIGAMI GIRL is a true case of opposites attract. First impressions aren't always accurate and sometimes walls need to be knocked down to get to the heart of a person and sometimes a person isn't as flighty as she seems. I loved the setting and the character growth, especially with Dr. Blake. Jojo was such a fun an light-hearted character. The romance was a sweet complement to the slightly sad hospital situation. Sabrina dreams of meeting a man of adventure and her mysterious library companion turns out to be too boring and safe for her taste. SABRINA'S HERO is slightly reminiscent of Pride and Prejudice, with the heroes and villains, but definitely earns praise on its own. 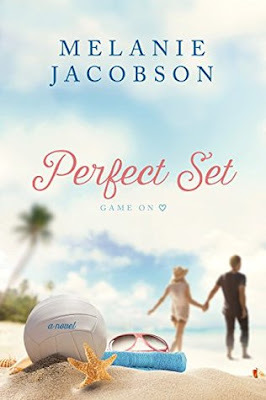 I loved the way the story unfolded and the character realizations that developed, especially as they involved a very sweet and swoon-worthy romance. FALLING FOR LUCY proves that everyone has a niche in life. It's especially hard for siblings to feel like they have to fit in the same mold as each other and when Lucy doesn't feel like she measures up to hers, she's hard on herself. A part-time job interview at a bookstore changes her life. And not just in the job sense. 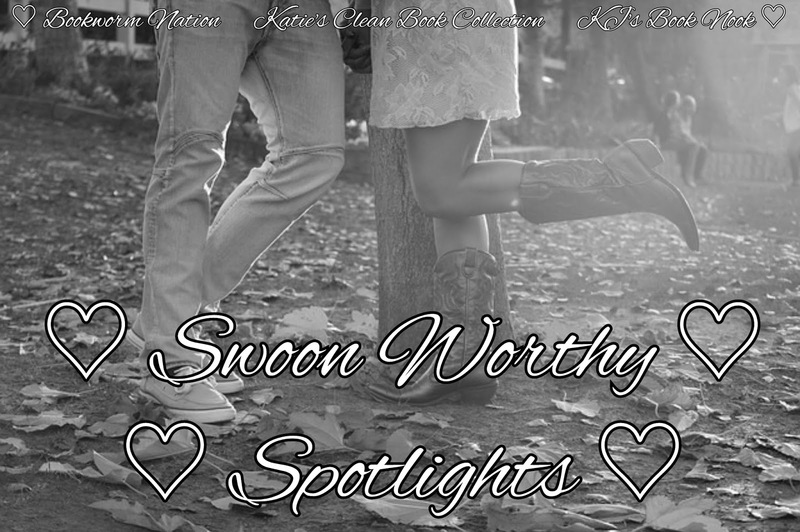 She clicks with her boss, Adam, and the subtle sparks and the passion for books completely captivated me. I was a little surprised by COVERTLY YOURS. Paisley is rescued in a bad part of town late at night, but now has to pretend to be the guy's girlfriend. She's obviously an innocent and good girl, but the chemistry ignites with this bad gang boy, Ice, anyway. I was nervous for her, especially as the night got worse and worse, but in true Rallison style, it all tied together in a delightful tale.